Certain members of the NHL's goalie fraternity have voiced their displeasure with the league's move to shrink chest protectors this season. TORONTO — Certain members of the NHL's goalie fraternity have voiced their displeasure with the league's move to shrink chest protectors this season. Safety — more than a few netminders have complained about increased bruising — and the fairness of the switch are among the concerns raised. The league's 31 general managers touched on the matter at their meeting Tuesday, but executive vice-president and director of hockey operations Colin Campbell said they had no issues with the change to date. "We did discuss the fact that some goalies were complaining," Campbell said. "In some instances, the complaints went with their performances." Among the grievances from some netminders is the new padding doesn't provide the same protection, especially on the arms or shoulders. "There are forwards and there are defencemen that get bruises when they get hit with 100-mile-an-hour shots," Campbell said. "We brought that to the GMs' attention. They had no concern with it." What the league is monitoring, however, is emotional outbursts from netminders directed towards officials. "We did address the fact we're not going to tolerate goalies not being happy with calls," Campbell said. "We're getting a few goalies banging their sticks." Campbell said goalies are also putting pressure on coaches to challenge calls when they feel they've been impeded, but added the NHL war room in Toronto that handles video review stays with the on-ice ruling roughly 80 per cent of the time. 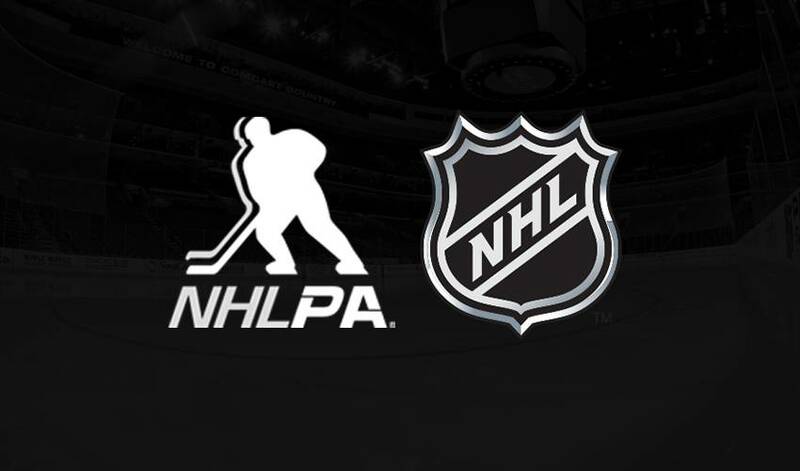 With the direct aim of increasing scoring, the league has moved to shrink goalie pads and pants in recent years, while chest protectors were reduced this season. "There's no war on goalies," Campbell. "The big takeaway today is we're concerned about the goalies. We addressed a lot of their concerns. They're important to their team. "Don't get the goalies mad at me." GMs have made a number of recommendations regarding rule changes at similar meetings in the past — head shots, coaches challenges etc. — but Tuesday was believed to be the first time in 15 at least years that no suggestions on altering the game were made. Campbell said another area discussed was player embellishment. "We don't want to become soccer," he said. "We've done a good job on that over the years of addressing embellishment. It's not about embarrassing a player. It's about informing the referees who the embellishers are. "We release the embellishers to the media once a week. We let the managers vote on embellishers. For example, last week, we had eight or 10 we reported on. (The GMs) are harder on them than we are." NHL deputy commissioner Bill Daly provided an update on potential expansion to Seattle, which could be announced as early as next month at the board of governors meetings. Daly said Monday before the Hockey Hall of Fame induction ceremony it's not known if the renovated Key Arena will be ready in time for the 2020-21 season or if the club would instead begin play the following October. In any event, Montreal Canadiens GM Marc Bergevin said teams are already looking at their rosters with a potential expansion draft coming, but added striking a balance is key. "You always look at it, but we're here to win hockey games also," he said after Tuesday's GM meeting. "We have to manage winning hockey games and exposing young players. "We have to be careful, but we have to win hockey games." Los Angeles Kings GM Rob Blake said unlike when the Vegas Golden Knights amassed a boat load of draft picks and assets in their expansion draft, established teams will probably be less inclined to make side deals to protect particular players that would otherwise be scooped up. "Because we've gone through it once before ... you look at your roster a little different," Blake said. A question was also raised about 19-year-old first-round picks being allowed to play in the American Hockey League instead of having to go back to junior if they fail to make their NHL teams. "We have a contract, an agreement with the (Canadian Hockey League)," Campbell said. "We've always been protective of the CHL and the players in the CHL, and I think our teams have been fairly reasonable with sending their players back when they're not ready. "This wasn't the meeting to discuss that at length and we'll probably have a preparation meeting for that agreement with the CHL for the managers at some point in time. "We've got another year left in the agreement, so we wouldn't change anything." With recent talk of the NHL potentially expanding into Europe one day, Bergevin said he could see it happen. "If you fly from Montreal to L.A. ... you just go the other way," he said with a grin. "It's about the same distance. It's just the time change that's harder. You never say never. "We're the first team in pro sports in Vegas. I wouldn't be shocked if the NHL's the first (league) that goes to Europe."